A good but simple definition of humour is something that causes others to laugh or feel amused. However, what could make one person laugh may not make another person laugh. This has to be taken into account when translating humour. The difficulty with the definition of humour is its subjectivity. Many authors at some time or other have tried to seek out a proper definition of humour, while many have simply reached the conclusion that no real definition can be found. Humour is found in everyday communication and it plays various roles. Sometimes a person wants to stand out from others so says something humorous to attract their attention while often it occurs spontaneously relating to an incident that has just taken place. There are professional comedians who make a living out of humour too. Most of the time humour only takes place in a single language but there are times like in international conferences when a speaker cracks a joke and an interpreter has to somehow accurately translate it so its meaning is preserved and not lost in translation. Humour rarely stands out on its own and is usually linked to the context where it takes place. It’s often related to a specific culture making it particularly difficult for a translator or interpreter to translate into another language. Even though humour is not uncommon in everyday life, it is, in fact, difficult to translate. On the question of linguistic jokes, comedian Dan Antopolski, had an award-winning joke which was “Hedgehogs – why can’t they just share the hedge?” This is fine in English but trying to translate into any other languages is difficult because hog has two meanings. This is a virtually insurmountable challenge for even the most highly skilled and experienced translator. Cultural jokes are said to be easier to translate. Humour often isn’t learned but is part of a person’s talent and not everyone finds the same things humorous. Translating humour is very much dependent on how the translator understands the humour. Often a translator can’t accurately translate humour and if he or she is given a translation job which involves translating humour but no equivalent language in the target language can be found the translator will just say the text is untranslatable. Today, there are lots of English humorous TV series or movies that appear in other countries after they have been translated. Sometimes subtitles are used while at other times dubbing is used. As humour is part of the culture where it originates from sometimes subtitles don’t express the language spoken as humorous. Even if the translator has a huge amount of knowledge of both languages sometimes humour is too sophisticated for the translator to be able to convey just the right meaning in the translation. Humour is so rooted in the culture that it becomes a part of a culture’s way of life. A thorough, in-depth understanding of the source and target languages, is necessary as well as being able to interchange cultures. Some kinds of humour like wordplay depend heavily on the linguistic features found in the source language. This means the translation is complicated because many languages differ so much in their semantic and grammatical structures. Finding a suitable translation that ensures the joke is understood is extremely difficult because of the vast differences between languages and cultures. Arabic and English have little in common so translating humour may never be realistically accurate. 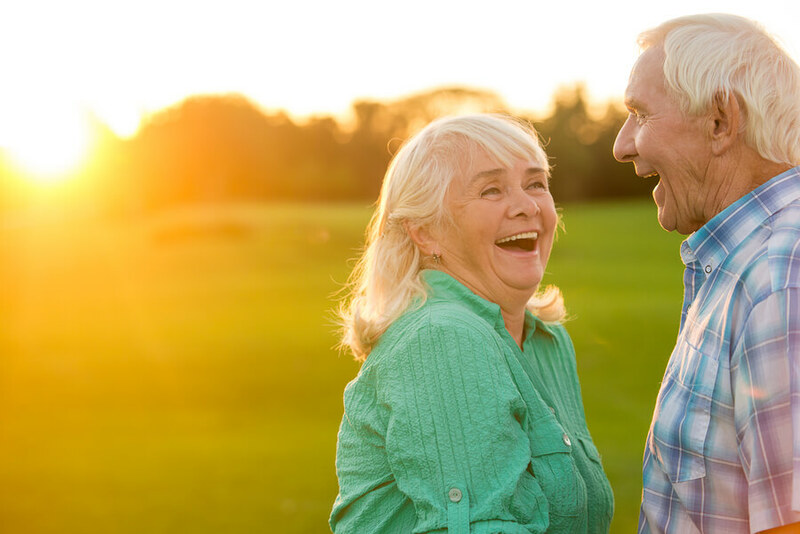 There are two main methods to help to resolve the difficulties with translating humour. The 1st is using a cultural note. This is commonly found in westernized or subtitled Japanese shows. A cultural note explains what it means when Japanese viewers are the only ones likely to understand the joke. The key problem with a cultural note is that it may potentially distract and even confuse a viewer which could result in ruining the impact of the joke. The 2nd potential solution is finding a very clever translator. There are one or two around who are able to put together a precise meaning in a translation so that the joke can be equally understood and found to be funny in two languages. 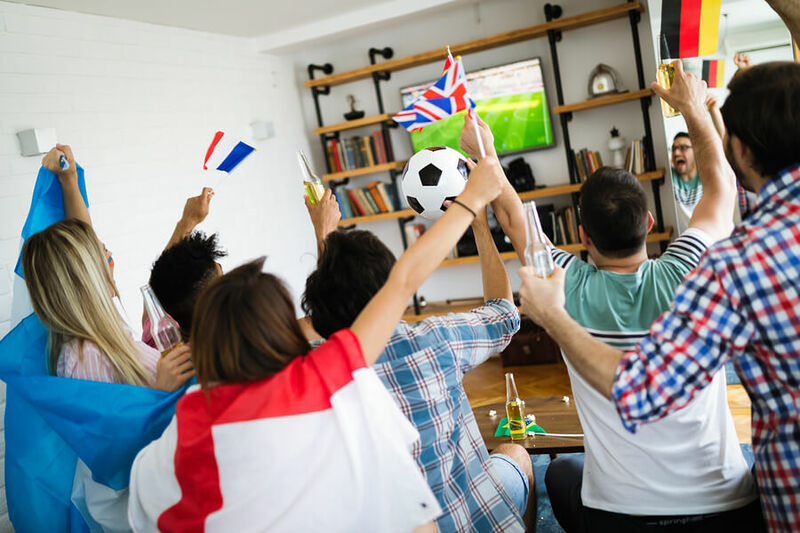 It takes a skilled interpreter, translator, or localization specialist to be able to absorb and reproduce humour and its cultural references for an audience that likes being amused. Time after time the conclusion is that the complex nature of a bilingual brain could be the key to navigating these complicated, comical waters. What everyone wants is to be able to share humour beyond the boundaries of language and culture. Surely, the term “unspoken language” is a misnomer? How can people speak with each other without speaking? The seeming contradiction lies in the fact that the word “language” means more than just the spoken word. Well before our ancestors ever developed the intellectual capacity through neural development to speak using words and sentences, early humans, the hominids of many different species, presumably communicated in non-verbal ways. Body language is surely a well-recognized way of communicating with each other still today. How about facial signals? Both these ways of using an ‘unspoken language’ must have been far more important in the deep past than they are today? Even now, when a shopkeeper says ‘Have a nice day’ after you have parted with some of your hard earned cash, you can tell whether they mean it or not by their body language and the way they smile at you. Many animals use an unspoken language, too. In fact, humans are probably unique in the animal kingdom in their innate ability to communicate verbally. Most other animals use a variety of vocalizations which fall short of being classified as verbal language. Birds use a variety of different calls, some of them surprisingly varied. The thicker the vegetation a species lives in, or the more distant a pair flies apart searching for food, the more elaborate the unspoken avian language used. Our closest relatives, the great apes, use a great variety of ‘unspoken languages.’ It is not surprising that intensely social apes, closest genetically to humans, such as the chimpanzees and bonobos, have a much more diverse unspoken language of grunts, hoots and cries as well as facial signals than their more unsocial cousins, the orangutans of South East Asia. People have developed fascinating unspoken languages around the world in addition to their more intricate and complex spoken languages. There are many reasons, sometimes hard to understand, just why these have arisen where they have. Here below are some examples of these interesting unspoken languages, still often used today. La Gomera is one of the Spanish Canary Islands off the west coast of Africa. It was settled, as far as we know, originally by people from Morocco, who developed a distinctive culture in each of the rocky, mountainous islands of the Canary group. In La Gomera, there developed a remarkable unspoken language called Silbo Gomero. In Spanish, the word ‘silbar’ means to whistle and that’s what the Gomerans are able to do to communicate at a distance, instead of shouting at each other. The versatility of the Gomeran whistling language is so good that as many as 4,000 whistled ‘words’ are recognized! Silbo Gomero may be in danger of extinction as an unspoken language today because of the use of cell phones and the internet, but the language is part of the curriculum in schools, so maybe it will still continue to be used. Rather similar to the whistlers of La Gomera are the hummers of the Maici River district in the South American Amazon. This unspoken language is used by the Pirahã people, an indigenous Indian population. The humming is not as elaborate as whistling and doesn’t carry so far, but that doesn’t worry the Pirahã. They use it to communicate when out hunting in the jungle. Perhaps they use it so that words don’t frighten their prey, or maybe they just like humming! Many kilometers away in China, there is another humming community, that of the people of Zhejiang. Unspoken language predates the use of words and is still used by everyone today, even if it is only facial signals and body language, which are very useful because they give information about intent and emotion. Here and there around the world, there are still many communities who have developed fascinating unspoken languages for a variety of reasons. From whistles and hums to yodels and drums, unspoken languages are an integral part of what it is to be human. Culture, like language, defines a human population. It fosters a sense of identity in the same way as language does. If you can speak the same language as others, you generally share many of their cultural traditions. Today, many of these distinctive cultural traditions are changing fast, taken over by a more uniform, globalized, consumer-centered culture. Colombians may speak Spanish, Vietnamese may speak Vietnamese and Moroccans Arabic and Berber, but they all recognize MacDonald’s beef burgers and Big Macs! Culture is important for many people because it gives them a sense of identity, but the homogenization of culture that is happening today means that that very sense of identity is gradually disappearing. No-one seems to be sure if that is bad or good. There are literally hundreds of unique cultures around the world. Visitors from one culture are often surprised, amused or even horrified when they first encounter another culture. After a time these impressions fade as people realize that humanity is more or less the same all over the world. It often comes down to cultural translation, which is the ability to understand what cultural oddities actually mean. Take the French kiss, for example. Many people in Europe kiss on the meeting, but the French have elevated kissing as a greeting to an art form. It takes time to appreciate that there are different ways to kiss, depending on how familiar you are with the person you are greeting. Australians, on the other hand, prefer a firm handshake, Americans a hug or a pat on the back, Maori New Zealanders a hongi (a touching of the nose), while Indians put the palms of their hands together in front of them as a greeting. They all mean more or less the same when they are translated, but the differences can take time to learn, just like language. Cultural customs around the world may mean the same thing in principle, but they take time to learn. Traditional customs do need to be translated if they are to mean anything to those who don’t share that culture. 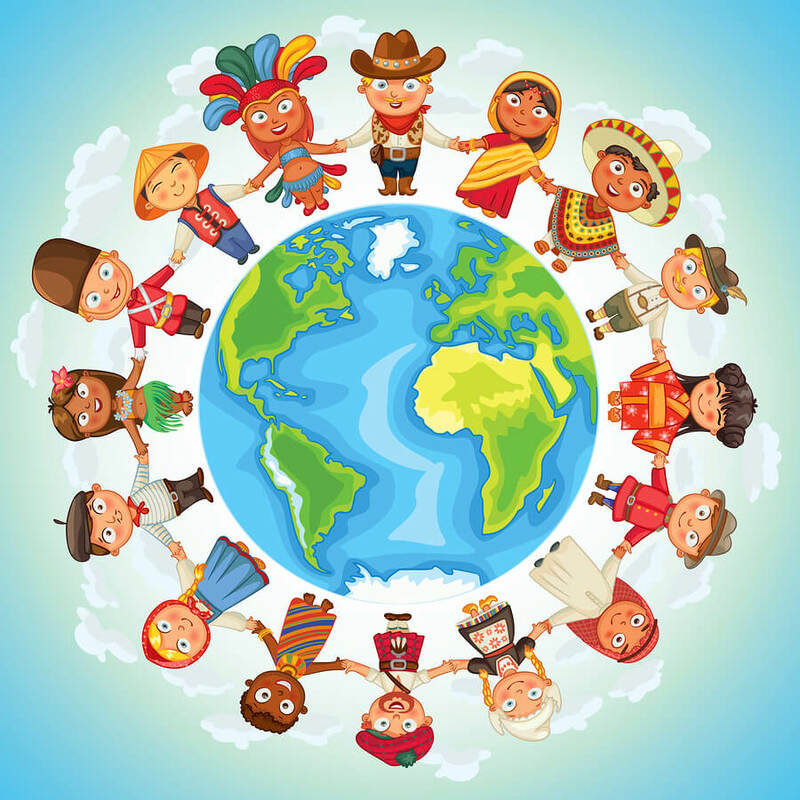 The importance of cultural translation cannot be underestimated as it is essential if people of different cultures are to get on peacefully and co-operate together. Culture and tradition are important to take into account when visiting another part of the world, or even within your own borders where people of different cultures rub shoulders. Take the practice of pointing in the western world, for example. In many African cultures, as well as Islamic culture in other parts of the world, it is rude to point with the finger at something, especially another human being. It is fine, however, to use the thumb! In Nicaragua, in a totally unrelated cultural tradition, people use their lips to point at something. It takes practice to learn what to do, but this sort of cultural translation is important to communicate effectively. In a way, it is a bit of a contradiction that there is a surge in the demand for language translators at present, but not for cultural translators. The world is globalizing fast and there is recognition everywhere that language translation is essential for communication in the modern world. However, there is a significant lag in the recognition that there is also a need for cross-cultural translation. One wonders just how much violence, unease, and war might not have happened over the centuries had cultural translators existed to teach all of us world citizens what other people were trying to say with their actions. What Sort of Influence Does Culture Have on TV Commercials? Some people might think that TV programmes and the commercials that almost universally fund them are on the road to extinction, replaced by online entertainment, news and information reporting, and advertising. However, this doesn’t seem to be the case. TV viewing is, if anything, even more, important than ever before. That means that advertising in the form of TV commercials remains a vital business decision, one that can potentially get products and services into millions of homes every day. As evidence for the continuing importance of TV and TV commercials is the statistics for the number of hours that ordinary people watch TV. For example, in the U.S., where access to the internet and the ownership of multiple internet accessible devices is near universal, the average number of hours of TV watched is astounding. 12 to 17-year-olds are the least interested in TV, yet still, watch an average of nearly 21 hours of TV every week. The older the cohort of viewers, the more TV is consumed. 65-year-olds and upwards, i.e. the retired population, for the most part, watch well over 50 hours on average every week. It must be remembered that for every hour of TV watching unless there are specifically non-commercial channels available (e.g. Britain’s BBC and its Australian counterpart, the ABC), at least 20% of that TV viewing consists of watching TV commercials, even if it is rather reluctantly. The message of desirable purchase and consumption is drummed into billions of peoples’ heads around the world every single day. There are two other observations to be made here before delving into the effect of culture on commercials and vice versa. First, commercials are out to persuade viewers to part with their money and buy whatever is being advertised. The statistics quoted, if repeated elsewhere apart from the U.S. reveal that those who have the most disposable income, i.e. the oldest, watch TV and therefore commercials the most. Secondly, TV commercials reach millions of people simultaneously, whereas internet-based advertising is by its very nature more limited in scope and targeted. Businesses that have the money budgeted for advertising are more likely to spend big on TV advertising than internet advertising simply because they have a much bigger audience. Businesses advertise for one main reason: to persuade as many people as possible to buy their products and services. Commercials are all about maximizing profit. To do so they must target who the businesses think they can sell the most to. They must use the language and cultural nuances of their target audience to the utmost or risk viewers tuning out. All advertising is a risky business. It’s hard to tell in advance whether a particular commercial will be effective. There are some very simple reasons why culture affects the design and presentation of any one TV commercial. For a start, commercials tend to focus on those they think have the most money to spend. In many countries with diverse ethnic groups, there is often a big disparity in wealth between one ethnic group and another. This isn’t lost on TV commercial designers who don’t tend to waste time using the poorer ethnic groups in their advertising. They use the language and ethnicity of the wealthier population. TV commercials, like any commercial advertising, are all about maximizing the return of profit to the businesses that pay advertising agencies to make the commercials for them. A lot of time and money on research into what makes people part with their cash is spent by these agencies. They tilt their commercials to emphasize the aspects of human nature that people aspire to. For example, in Australia, where 30% of the adult population is obese, it is highly unlikely that obese people will feature in any TV commercial, even if this is representative of the population as a whole! TV commercials consistently use subjects in their advertising who are younger, more attractive, healthier, wealthier, more athletic and seemingly happier than the general population of viewers. Presumably, this is because their research has shown them that if older, less attractive, unfit, sad, poor and sluggish people were featured in their adverts they wouldn’t be so popular! Culture can also have positive influences over advertising. It is not permitted these days in most western countries to advertise the smoking of tobacco products on TV, largely because the damaging health effects of smoking have finally filtered their way through society so that there is little controversy about it. Contrast that with the 1970s when it was common to see adverts featuring young, beautiful, healthy, seemingly fit people smoking like chimneys on TV commercials! In this regard, commercials tend to lag behind the changes in a society’s norms and cultural understanding. One of the biggest disconnects between a changing culture and the attitude of commercial advertising is in society’s growing awareness and response to climate change. It is generally now recognized by all but a few diehards that the use of fossil fuels in the amounts that the world has got used to is foolhardy. Yet there is no sign that TV commercials showing appealingly shiny, fast cars and chunky SUVs are going on the same road to oblivion as adverts for cigarettes and smoking! TV advertising is still a very important way that businesses, especially the major brands, can reach millions of potential consumers. TV commercials are not going to die away soon and seem to be running nicely alongside the use of the internet, rather than be in competition with it. Culture is probably one of the biggest influences on exactly what is shown on commercials. Businesses are out to get people to spend their money on their products and services and will use every trick in the book to get their message across. They have discovered very early on that successful adverts are those that give their viewers the illusion that they may be younger, wealthier, healthier and more attractive if they purchase the products they are seeing advertised. It may be an illusion but it is a reflection of what the general population wishes it was, rather than what it really is. In Australia, Melbourne Cup Day is an annual horse racing event which is held on the 1st Tuesday of November each year. Melbourne is in the state of Victoria and there is a public holiday declared in the state on Melbourne Cup day. Melbourne Cup in 2018 will be held on Tuesday 6th November. The annual Melbourne Cup happens to be one of the most popular racing and social events in Australia. The main event happens at the Flemington Racecourse in Melbourne attended by about 100,000 people. At the same time, local races take place in the country on the same day while the main event is broadcast on screens at race track venue throughout the country. Throughout the world, around 650 million viewers watch the event live and many at 3 pm Melbourne time so enthused by the event that they stop what they are doing to watch it either on TV or via the internet and if these sources aren’t available they listen to the main race on the radio. Many are getting their documents ready and visas translated in advance to attend the event! The Melbourne Cup is a day when women attending the race dress up in colorful dresses and hats. Many take part in a fashion parade showing off their attire. As VIPs usually attend the race special marquees are constructed for their use. Champagne, wine, spirits, and gourmet foods are typically served on the day. When it comes close to the time of the main race many offices and workplaces throughout the country put on their own events in support of the Melbourne Cup. These include dress and hat competitions and joint staff lunches at nearby restaurants. Big screens are erected making it possible for workers to view the event. It can’t be forgotten that this is an event when many people wage a bet on the winner. Melbourne Cup Day became important in Australia since the 1st race took place in 1861 at Victoria’s Flemington Racecourse. This first race was won by the horse Archer, who also won the race in1862. 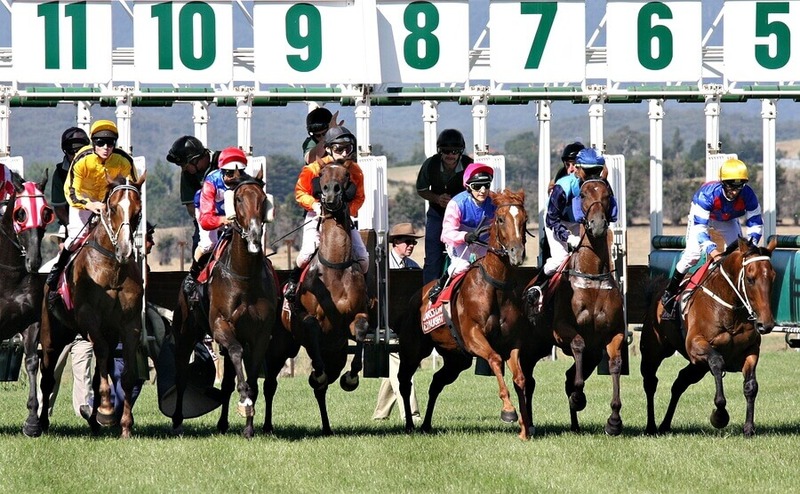 The event typically features several races, including a handicap race where 20 thoroughbreds are forced to run for several million Australian dollars. There was one well-known winner called Phar Lap, a New Zealand thoroughbred who in 1930 won the event and was subsequently given a nickname of “Australia’s wonder horse.” This later became a famous movie. When Phar Lap died the story goes that it was caused by poisoning. In 1877 the 1st Tuesday in November which was designated Melbourne Cup Day became a public holiday. As there was not full adherence to the public holiday by all of Melbourne’s metropolitan councils in 2008 new legislation was passed by the Victorian Parliament ensured that Melbourne Cup Day was a public holiday throughout all the state’s council areas. This meant that Melbourne Cup Day became officially one of the state’s public holidays. From time to time similar race events take place in Australia because horse racing is a popular pastime. Because Melbourne Cup Day is the best-known racing fixture in Australia and its importance brought on the need to declare the day a state public holiday it has now been given the phrase that it is “the race that stops the nation.” There are, however, a few Australians who consider horse racing to be a cruel sport and have protested over the years about the staging of the event. So far nothing has been done to stop the annual event taking place and there have never been any attempts to reform it in recent years. When you go out to your local shopping centre to buy a product you often get completely overwhelmed by all the different names that are used for what basically seems to be the same product. There is a very good reason for this and that’s because a business wants you to recognise its own brand. When a company sets out for the first time marketing for example peanut butter with a secret ingredient no one knows the company so it chooses a name for the products it produces. This is so anyone who happens to choose the product and ends up liking it will be able to identify it again by its brand name. If the brand name doesn’t seem a lot different from others the buyer will have difficulty differentiating products, so in the end the company won’t achieve much. It has to have a brand label that can be picked out easily. A brand name change may be necessary if a competitor chooses a similar type of branding. The more work a company puts into creating a brand and identity the more likely it is to create an awareness of it. For example, even without adding any additional language, Coca-Cola is familiar throughout the world. The brand defines itself through its red colour and the presence of the can or bottle to hold the liquid. This is certainly identity and branding revealing itself in the best way possible. 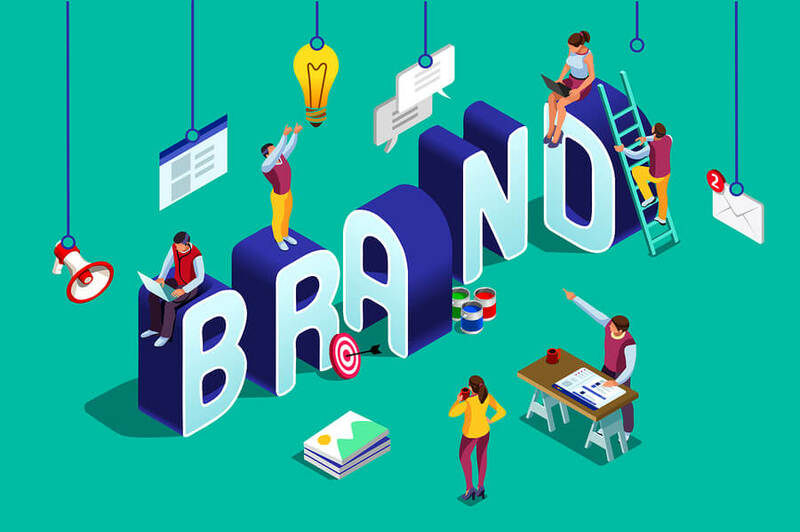 What’s most important too is that when a brand is marketed overseas any slogans used may need a brand translation that correctly represents the brand. Slogans are hard to translate accurately unless an experienced human translator does the job and it’s not left in the hands of a machine translation tool. There have been several incidences when poor translators have been used for a brand translation. This is mainly the result of a brand slogan being translated in a way that makes it culturally sensitive or even offensive. This sort of translation mistake can ruin a company’s brand and taint its reputation so a brand name change may be necessary. Branding is one method of identifying a product to consumers so they know what the packaging and labelling looks like when they enter a store. When it comes to marketing overseas the company has to be very careful who it chooses to do a brand translation because it needs to be sure any translation fits the brand perfectly. Is Tamil a National Language in Australia? Not so long ago there was a misconception in Australia that Tamil was one of Australia’s national languages. Most people who know much about Australia will know that the country has no national language as such, but English has since the time of European settlement been adopted as the de facto national language. Over the decades since English settlement began the English spoken has evolved somewhat so that Australian English varies a little particularly its accent and some distinct idioms, even though it’s still easily understood by anyone who is a native English speaker. This doesn’t mean English is the only language spoken in Australia. Far from it, as well as a host of Aboriginal languages, there are many other languages spoken by immigrants who have entered the country permanently over the last one hundred years or more. Apart from English, which according to the last official census in Australia in 2016, 73% of the population speak as their main language, the next commonest language is Mandarin, followed by Arabic, Cantonese, Vietnamese, Italian, and Tamil. On top of the migrant languages, the indigenous population is represented as well with 52,000 of them speaking one of the many indigenous languages in the home, according to the 2006 census. Tamil Australians who speak Tamil are typically those who originate from Tamil Nadu or those who identify with Tamil culture. The origins of the majority of Tamil Australians are from India, Sri Lanka, Singapore or Malaysia. Where does the Tamil Language come from? Bhadriraju Krishnamurti, a renowned linguist, believes Tamil descended from the Proto-Dravidian language, which was spoken around the 3rd century BC, possibly in peninsular India in the lower Godavari River. The next stage in Tamil history is Proto-South-Dravidian which was evidently spoken in the middle part of the 2nd century BC, while proto-Tamil made its debut in the 3rd century BC. The first is Old Tamil from 300 BC to AD 700, Middle Tamil from the 7th–16th century and Modern Tamil from 1600 to the present day. Interestingly, in November 2007, an excavation that was carried out at Quseir-al-Qadim discovered Egyptian pottery that dated back to the 1st century BC which was sprinkled with old Tamil Brahmi inscriptions. It has also been discovered in Tamil language history that it was the language used by India’s earliest maritime traders. Tamil is the main language spoken in Tamil Nadu in India and in the Northern and Eastern Province of Sri Lanka. Tamil can also be found spoken in smaller numbers in other Indian states such as Karnataka, Kerala, Andhra Pradesh, and Maharashtra. Up to the 12th century Tamil, or a dialect of it, was the common language spoken in Kerala in both literatures and for administration purposes. Also, Tamil was used often in inscriptions in Chittoor and Nellore in Andhra Pradesh in the southern parts, up to the twelfth century AD. It was also used for the purpose of writing between the tenth and fourteenth centuries in such places as Mysore, Kolar, Bangalore, and Mandya in south Karnataka district. Most of the populations who speak Tamil outside of India live in Mauritius, Singapore, Malaysia, Philippines, Indonesia, South Africa, Thailand, Vietnam, and Burma. A significant group of Pakistani Tamil speakers resides in the city of Karachi in Pakistan, which includes Hindus who are Tamil speakers and Muslims and Christians. There are also groups of Tamils who live in Guyana, Trinidad, Tobago, Fiji, Réunion, and Suriname. It is spoken in Canada by migrants from both India and Sri Lanka and India. In the United States, particularly New York and the state of New Jersey Tamil speakers can be found. Conclusion- How many Countries have Tamil as an Official Language? 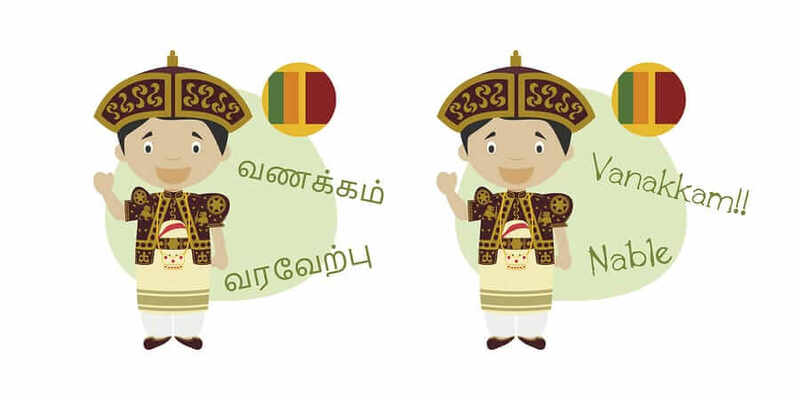 Tamil is found as an official language in Singapore, India and Sri Lanka. It has been assigned official status in the state of Tamil Nadu in India and Puducherry, an Indian Union Territory. It’s a language used with English, Mandarin, and Malay in the education sector in Malaysia. However, it’s a misconception that it is a national language of Australia. However, there are Tamil speakers living in Australia who may need to use English to Tamil translation online from time to time. Is it Possible to Work Out What the World’s Oldest Language Is? The oldest human language is shrouded in mystery. The first language spoken on Earth is estimated to have emerged around 200,000 years ago in Southern or Eastern Africa. In fact, it is unlikely ever to be known just how the ability to communicate with language actually came about. It is thought that the need for better communication developed at the same time as the transformation of the African ecological environment in which early humans lived. Fossil evidence shows that the size of the hominid brain grew quite rapidly, presumably to accommodate parts of the brain that could deal with complex thought and verbal communication. The real reason that we will never know what the oldest known spoken language was is that it would have predated written records by tens of thousands of years. By the time writing in the form of hieroglyphics became commonplace, languages would have developed all over the earth in places to which humanity had spread. What we do know more about is the existence today of languages that have changed little through antiquity. There may be doubt about exactly what is the oldest living language, but there are certainly several contenders. There are around 7,000 languages in the world today. These are grouped in a much smaller number of language families. Languages evolve because people move away from where they used to live and because of isolation, gradually change the words and grammar they used to use. 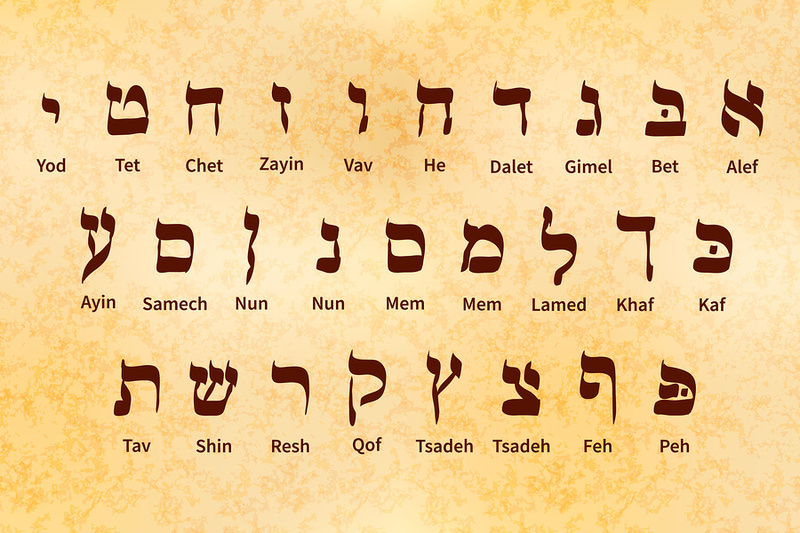 The only record we have of the age of different languages is from written manuscripts and other forms of writing. There are several places around the world where writing developed independently. These places and the languages used at the time are presumed to be the world’s oldest living languages, but that is still not certain as there may be other languages in existence that were used by people who never used writing. For example, indigenous Australians have been in the Australian continent for at least 60,000 years according to the fossil record. No indigenous Australian community or language group ever invented, or had any need to invent, writing, yet presumably their languages are ancient. Of the languages we are certain about, some of the oldest are now functionally extinct. For example, one of present day India’s oldest languages is Sanskrit. Although there are many monuments and buildings as well as documents that have been written in Sanskrit, it is not a living language. Some Indian scholars believe that there is evidence that Tamil, which is closely related to Sanskrit, may actually predate it and the language may be one of the oldest languages in the world at over 5,000 years old. Latin is another ancient language and was in use throughout what is modern day Europe and beyond for long periods before it died to be replaced by its descendants, the Romance language family, including Italian, Spanish, French, Romanian and Portuguese. Back in Asia, Hebrew and Aramaic are also regarded as some of the world’s oldest living languages, and have a linguistic affinity with Sumerian which first developed in the Middle East many thousands of years ago. Further to the East, the Korean language and Chinese are also very old languages, although like many other languages that have been around for a long time, they have changed down the ages. It would be hard for a Korean from 1,000 years ago to probably a modern Korean today! They would probably need a translator. Other old languages have changed through the ages, yet remain recognised as being related to the original. For example, Greek has been used since antiquity, but has changed so much that scholars of Ancient Greek would have a hard time conversing in modern Greece, despite the obvious relationship. Again, translators are often used to bridge the language gap when translating ancient texts into the modern equivalent. In Africa, Egyptian is probably the best known oldest language that we know about. Like Greek, though, ancient Egyptian as has been recorded in hieroglyphics on famous monuments like the Pyramids, has disappeared and is no longer a living language. In fact, modern Egypt uses Arabic as its official language, another very important old language. Over in the Americas, some of the oldest languages are Aztec, Mayan and Inca. Again, there may be older languages still spoken today, yet their speakers never developed writing, so their origin is shrouded in the jungle mist. There are several contenders for the world’s oldest living languages although no one will ever really know which of them is the oldest. Making sense of ancient hieroglyphics and written texts has become a specialised translation skill. Old language translators are few and far between. Ancient language translators must first learn the language they are studying, then and only then can they translate the ancient writing so that it can be read and studied by everyone else. Even not so ancient languages like Old English need translators of their own. Chaucer’s bawdy tales, for instance, need translating by old English sentence translators, so the words and phrases of Old English can be understood and enjoyed by today’s English speakers. 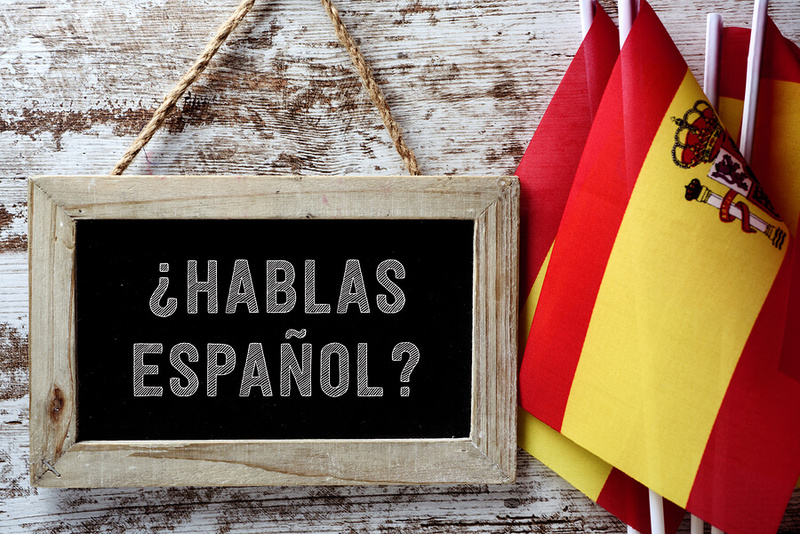 Is Your Español Good Enough to be a Translator? Spanish is one of the world’s most important languages. It is spoken in Spain, of course, but perhaps, more importantly, it is spoken from the Rio Grande right down to Patagonia in Central and South America and right out into the Caribbean. In addition to that, it is now the second most important language in the U.S. While many Spanish people can speak English well, this familiarity with another language tends to be lacking through Latin America. Many native Spanish speakers seem to have difficulties in learning English as a second language. Perhaps this is a consequence in South America in particular that there is very little contact with people who speak anything other than Spanish, apart from a very few tourist hotspots. This presents a very good opportunity for Spanish speaking jobs. They may be jobs for Spanish people themselves who are bilingual or Spanish speaking job opportunities for those who are able to speak Spanish as a second language well. Teaching Spanish as a foreign language is one job that Spanish speakers, whether they are native speakers, or fluent second language speakers, will find plenty of opportunities in the United States because so many people do speak Spanish there. Europeans who want to learn Spanish may go to evening classes or as adult learners in colleges across Europe. A knowledge of Spanish helps people to enjoy their experience visiting Spain or anywhere in Latin America and also to appreciate the rich heritage of Spanish literature. Anyone who decides to visit the huge South American continent is well advised to learn some Spanish as in most places away from the main cities few people will speak anything other than their own native indigenous language e.g. Quechua, as well as Spanish. The only disconcerting thing about learning Spanish is that it is often spoken in a hazard to understand the regional dialect. If you were to visit Nicaragua, in Central America, for example, it will be near impossible understanding the Spanish of ordinary Nicaraguans! By contrast, Colombians and Mexicans often speak easier to understand Spanish. There are Spanish interpreter jobs in tourist centres and in some government agencies where Spanish as a foreign language is spoken a lot. For example, ion many U.S. public hospitals it is vital to have a few Spanish interpreters available in case there is a need for diagnosis and treatment options to be discussed with Spanish speaking patients.